Our Holiday schedule is rather flexible so please call ahead well in advance if you would like to visit. You are cordially invited to visit us in Nacogdoches Texas and meet the people who are the company. We can show you pictures of the homes we have built, and how we do the work. There are also several timber frame structures on our property (our Timber Frame Shop is a great one to see) and we can discuss how timber frames are built and how they work. We would also like to visit with you about your specific project requirements and needs; so bring all the pictures, drawings and other ideas you have. We suggest that you plan your visit between Monday and Friday so you can actually see how we produce timber frames. We are open from 7:00a until 3:30p Monday through Friday and can accommodate later visits on week days if needed. Our winter and summer hours change so be sure to check with us and arrange for your specific appointment. 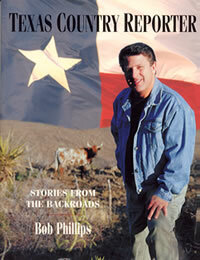 A visit here is a lot of fun and our operation is not something you see everyday... in fact, we have been featured several times on Texas Country Reporter television show hosted by Bob Phillips and appear in his book Texas Country Reporter : Stories From the Backroads. If you would like to visit us, please give us at least a weeks notice so that we can plan on some quality time to spend with you. Please contact Tim at tim@redsuspenderstf.com to arrange a visit.